Hindus are urging His Holiness Pope Francis to reinstate priest of Parish of Saint Mary of Africa in Ceuta (Spain), who was reportedly forced to resign for welcoming Hindu deity Lord Ganesha image into the Catholic church. Distinguished Hindu statesman Rajan Zed, in a statement in Nevada (USA) today, said that it was shocking to learn that instead of awarding the Vicar General of Ceuta Juan José Mateos Castro for promoting brotherhood and co-existence, the Diocese of Cadiz and Ceuta decided to punish him. According to reports, large statue of Lord Ganesha was paraded into the church and brought near the statue of Virgin Mary in a procession by area Hindu community, which went through the city ending at the sea as a part of his birthday celebrations on August 27. This procession had been making a stop at the church, whose history goes back to 1421, for the last eight years. Zed, who is President of Universal Society of Hinduism, also urged Metropolitan Archbishop of Seville Juan José Asenjo Pelegrina to revisit the issue and reprimand Diocese of Cadiz and Ceuta Bishop Rafael Zornoza Boy and apologize. 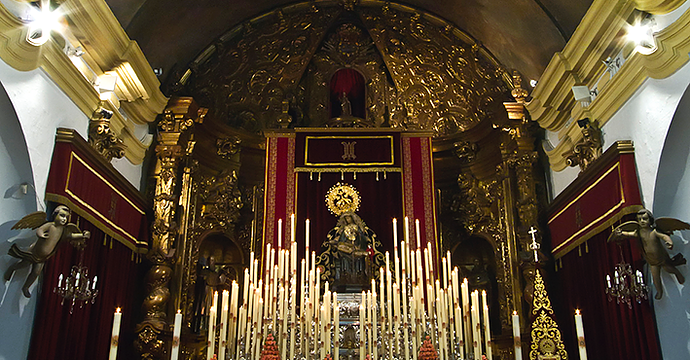 Rajan Zed hoped that Cadiz-Ceuta Bishop understood that: Broader and more inclusive understanding of religion was needed as no religion was an island. We should learn to see interconnections and interdependencies between religions. God did not have exclusive agents, as many might claim. We needed to attempt to live together in mutual loyalty and trust despite our seriously different beliefs as God positively and generously willed existence of diverse faiths. Zed quoted from The Bible: As I have loved you, so you also should love one another (Gospel According to John 13: 34). In our search for the truth, we should live harmoniously and support each other as we were headed on the same route, Zed added. 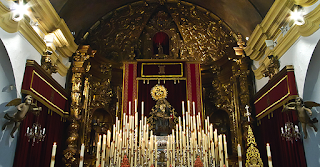 In a Communiqué posted on the diocese website on August 28, Bishop of Diocese of Cadiz and Ceuta wrote (Google Translate): The acceptance inside the Shrine of the Patron of Ceuta of members of the Hindu community bearing images of one of the divinities that they have venerated has been wrong and is a reprehensible fact, which should not have been allowed…Bishop wishes to express his deep sorrow for this unfortunate event that has caused damage, confusion or scandal in the Christian community and, as a representative of the Church in Cadiz and Ceuta, apologize to all who for this action have been hurt, scandalized or confused in their faith…Vicario de Ceuta and Pastor of the Sanctuary, duly reprimanded for allowing these actions, lamented the facts…It recognizes that it has been a mistake to allow the entrance of these images and that it has not at any time intended to venerate anything of our true and only God…Vicario has acknowledged his error, regrets the damage he has been able to cause to the faithful and accepts his total responsibility, presenting his resignation, which has been accepted. In Hinduism, Lord Ganesha is worshipped as god of wisdom and remover of obstacles and is invoked before the beginning of any major undertaking. Hinduism, oldest and third largest religion of the world, has about 1.1 billion adherents and about 800 Hindus reportedly reside in the area. No Comment to " Hindus urge Pope to reinstate priest who welcomed Lord Ganesha into church in Spain "